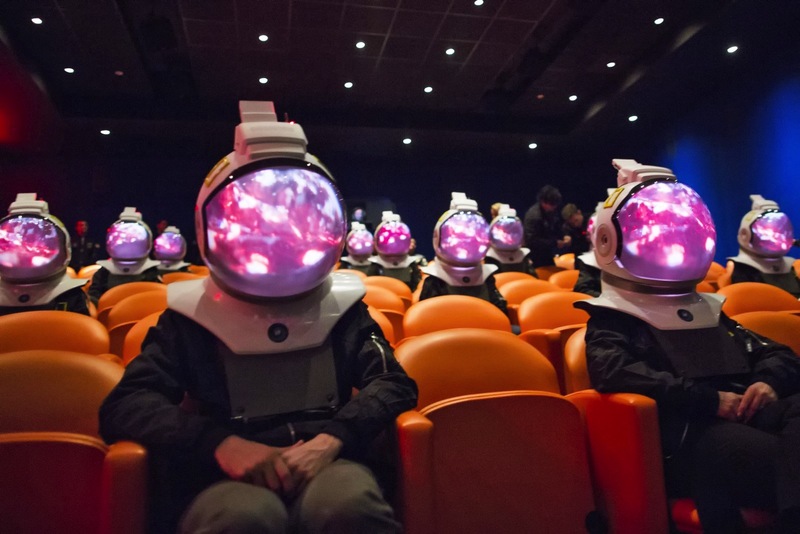 National Geographic built ‘Space Projection Helmets’ for its new show #WearableWednesday « Adafruit Industries – Makers, hackers, artists, designers and engineers! These projector helmets look like they deliver an awesome viewing experience! When it came time for National Geographic to build an immersive experience for its new show, One Strange Rock, the network didn’t want another virtual reality experience. So it worked together with McCann and New York City-based Tomorrow Lab to build something entirely new: Space Projection Helmets. From the outside, they look like replica NASA gear — fitting since One Strange Rock is focused on astronauts and their view of Earth. On the inside, though, they have all of the equipment necessary for a personal theatrical experience. You can think of the helmets as mini OMNIMAX cinemas, the dome version of IMAX screens typically found in science museums.